While standing on the edge of a cottonwood gallery forest waiting for bald eagles returning to roost, this bald eagle landed about 30 years away and checked me out. I studied the beauty of our National Bird for a minute or two, he tired of watching me and flew on. 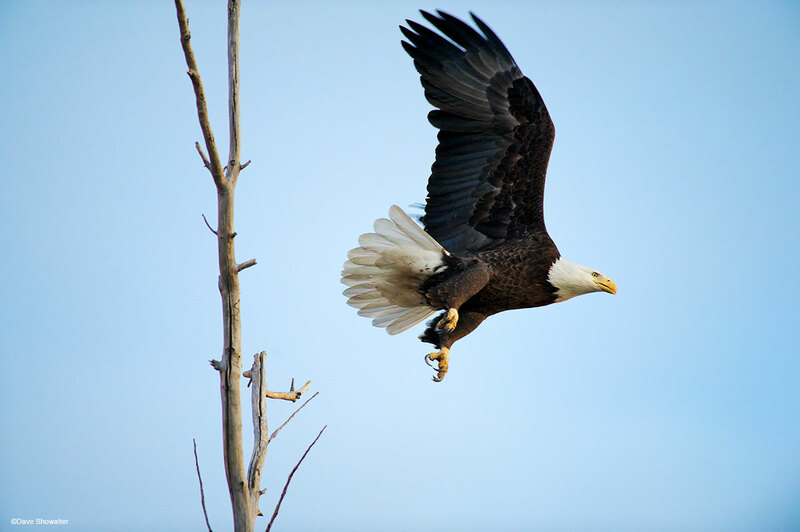 RMA's shortgrass prairie is refuge for wintering bald eagles that migrate south from Canada and Alaska to feed on prairie dogs, rabbits, and fish in the South Platte River nearby. Photo © copyright by Dave Showalter.